You know what is not a characteristic of a downtrend? All-time highs! 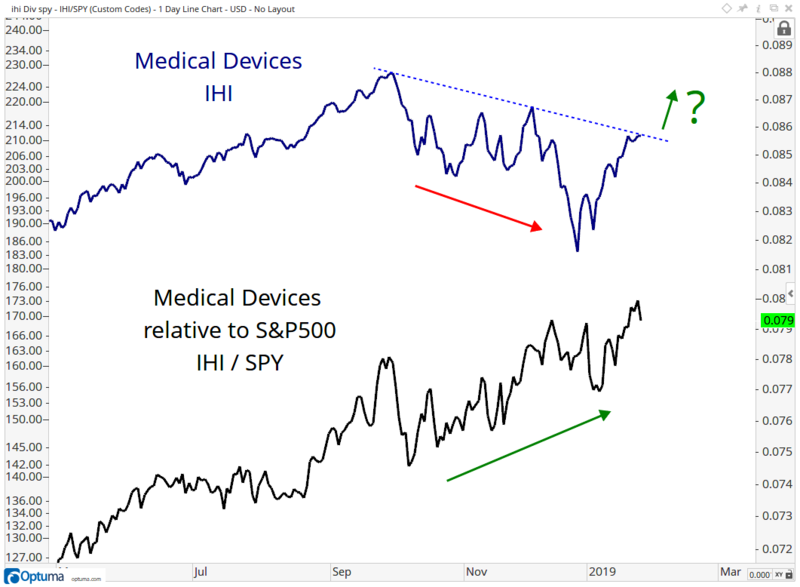 On Friday afternoon, the Medical Equipment Index (NYSEArca: IHI) went out at new all-time weekly closing highs relative to the S&P 500. We look to relative strength as a leading or coincident indicator for stocks. This sector’s behavior is no different. 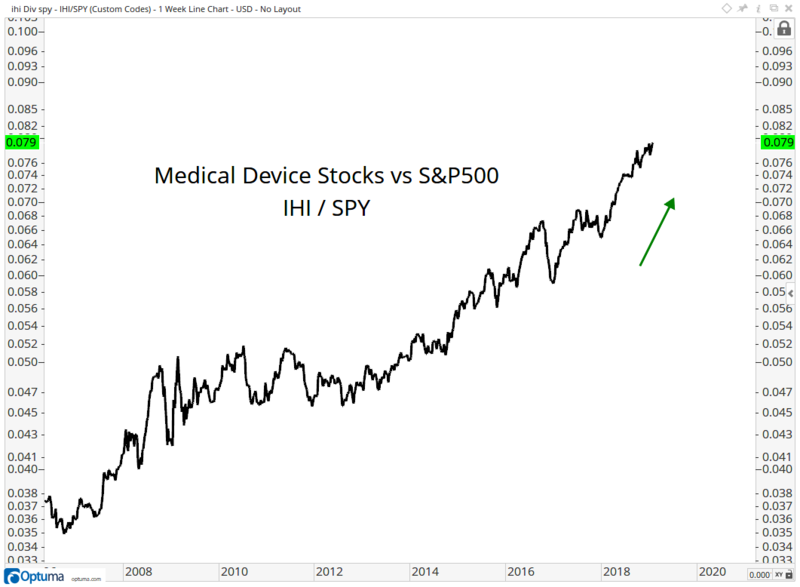 To give you better perspective, here is the IHI itself. And then below it, the relative strength we’ve seen the past few months. When it comes to this group at least, we want to be buying the strongest names.